Union Community Health Center, Bronx Health REACH led by the Institute for Family Health’s and partners of the Bronx’s #Not62 – The Campaign for A Healthy Bronx, unveil the Healthy Beverage Zone, a movement that motivates and supports Bronxites to ditch sugary beverages and embrace better health. BRONX, NY (April 18, 2017) —The Bronx has set the bar high. In collaboration with Bronx Borough President Ruben Diaz Jr.’s #Not62 campaign, Union Community Health Center (UCHC) and Bronx Health REACH have taken a simple yet practical approach towards reversing the rates of chronic illnesses directly impacted by the consumption of sugar-laden drinks. 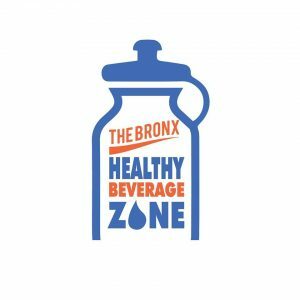 The Healthy Beverage Zone (HBZ) is a first of its kind, borough-wide effort to eliminate sugary-sweetened beverages (SSBs) at work sites, health centers, hospitals, houses of worship and schools, affecting all who work, live, and visit the Bronx. Sugar-sweetened beverages are the single largest source of excess calories in the American diet. Thus, consuming healthy beverages is an important factor in reversing the effects of weight gain, diet-related diseases (such as diabetes and heart disease), and poor dental health. The HBZ, an evidence-based project led by Union Community Health Center, Bronx Health REACH, and the NYC Department of Health and Mental Hygiene’s Bronx Neighborhood Health Action Center, assists organizations interested in establishing a healthy beverage “ZONE” at their site with the tools and guidance needed to create a supportive environment that promotes healthy beverage options. “The Healthy Beverage Zone program is a tremendous initiative, and I am proud that my office is a part of it. A major component of our #Not62 Campaign for a Healthier Bronx is encouraging individuals to make healthier choices, and making it easier for Bronxites to choose a better option than a sugary drink is a small step we can take towards building and strengthening a culture of wellness in our borough,” said Bronx Borough President Ruben Diaz Jr. Inspired by the cumulative and collaborative efforts of our borough to effect a healthy lifestyle change resulted in Union Community Health Center’s introduction of its SSB Free Zone initiative. It is imperative to lead by example and taking what UCHC health providers and all staff are doing a step further with role modeling action sends a loud message to our patients that we practice what we preach. If we want our patients to be receptive to our recommendations we must first show them through our own behavior. Because of such organic commitments, the creation of the Healthy Beverage Zone was an intuitive next step and collaborating with likeminded organizations will undoubtedly lead to better health outcomes in the near future,” Dr. Douglas York, CEO of Union Community Health Center. The official HBZ website (www.thebronxhbz.org) provides visitors with information related to SSBs, an official downloadable toolkit, infographics, fact sheets, social media links, and statistics on the health of Bronx residents. The new website also features an interactive blog containing news about the borough-wide SSB free movement, as well as other like-minded projects within NYC and around the country. The project has already received national attention. Last summer the Aetna Foundation selected the HBZ Project as one of 50 members of the HealthyCommunity50 in the Healthiest Cities & Counties Challenge, a contest established to help improve and recognize communities focused on at least one of five domains: healthy behaviors, community safety, built environment, social/economic factors and environmental exposures. The Aetna Foundation gave a $10,000 community seed award. The Bronx is now in the running to receive a prize of up to $500,000 that will support their innovative program. To learn more about the HBZ, please visit www.thebronxhbz.org. Participate in the conversation via social media by following the hashtag #HBZ #Not62 #HealthiestCitiesChallenge.